Ecosea produce a range of protective and anti-foul coatings for the offshore, power, water, aquaculture and marine industries, the most exciting and renowned of which is Cuprotect®. Several years of research, development, and international trials by Ecosea were augmented by independent testing, conducted by some of the world’s most prestigious and renowned research organisations, which have confirmed the efficacy and durability of Cuprotect®. One Photo says it all. 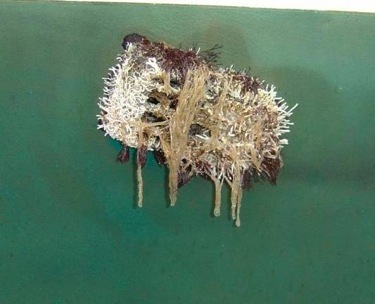 The photograph shows a trial panel following 2 years submersion to compare Cuprotect® against conventional antifoul paints. 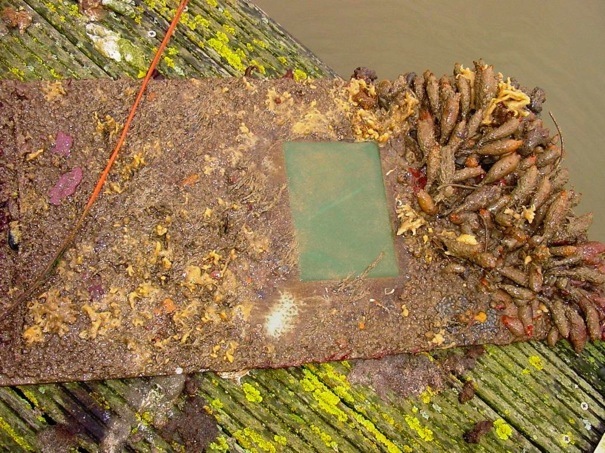 Three squares, each containing a different make of leading conventional antifoul paint, are on the left and right of the trial panel - and each one is covered with bio fouling growth! The square containing Cuprotect® however, remains completely clear of fouling. Using copper nickel alloys (CuNi), Cuprotect® is suitable for sub-sea applications in numerous industries where high efficiency, low maintenance and long life are required. Cuprotect® is not a paint, but a unique fouling control system that uses the metallurgical non corroding properties of copper and copper alloys, to provide unmatched bio-fouling protection - even under the most stringent conditions. Suitable for use on most marine structures, Cuprotect® can be applied to a wide range of substrates including metal, concrete, fibreglass, wood, plastics, polyurethane and even to rope. This makes it ideal for protecting equipment that is submerged for long periods, in conditions where maintenance is difficult and/or expensive. Cuprotect® uses the proven properties of copper to provide the most effective antifouling protection available worldwide and is now an internationally patented product. Capable of providing efficient and long lasting protection to a diverse range of clients including; ships, offshore structures, oil platforms, pipelines, aquaculture assets (including nets), desalination plants, power generation & water facilities to name a few. Copper nickel alloys have high natural resistance to bio-fouling and Copper has proved its performance over many years as an antifoul - sheets of copper were nailed to wooden ships in the 1700's. Cuprotect® uses the proven properties of copper to provide the most effective antifouling protection available worldwide. Why copper nickel alloy? Upon immersion, the copper oxide film present on the Cuprotect® outer layer will react with the salt water to form a surface patina. This patina provides a surface which although it is not toxic, most marine life forms consider inhospitable, making Cuprotect® the most effective fouling control solution. Cuprotect® comprises a primer layer to provide a tough stable base with a strong bond to the substrate. 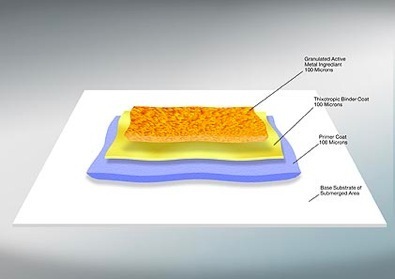 This is followed by the binder coat incorporating specially selected thixotropic agents to ensure optimum bonding between the primer and the final, outer layer of granular copper nickel alloy, which is applied by a computer controlled spray process. and therefore will not promote the risk of galvanic degradation or electrolysis. In addition, because Cuprotect® provides an impermeable layer between water and the substrate, which in addition to prevention of bio fouling, helps to protect against corrosion. & un-fouled hull. 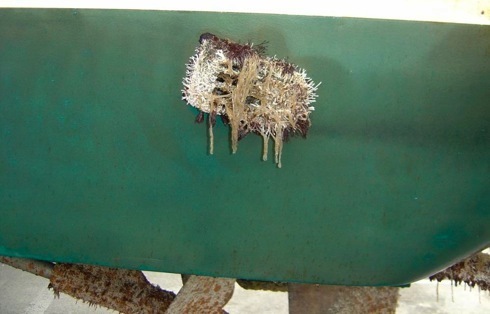 Note the difference between the condition of the hull - compared to the skin fitting, propellers and trim tabs that were not treated with Cuprotect®. Considerable research, over several years, has proven the efficacy and durability of Cuprotect®. The seawater corrosion resistance offered by copper-nickel alloys results from the formation of a thin, adherent, protective surface film which forms naturally and quickly upon exposure to clean seawater. 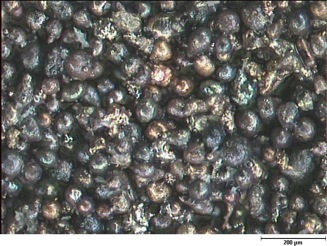 The film is complex and predominantly comprises of cuprous oxide. It is this thin, complex, environmentally benign film that protects your marine structure, whatever that maybe. Like many great inventions, the base ingredient (in this case copper) has been there for millions of years. 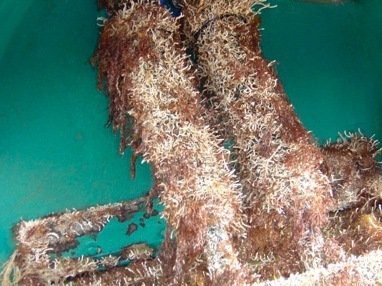 It has been used for a myriad of purposes for thousands of years, used as a marine antifoul for over 200 years, but it is only since Ecosea developed Cuprotect® and patented the application of copper alloys in this way, that it could be used so effectively in protecting marine assets. Corrosion is the formation of ferrous oxide that causes iron or steel to expand and flake. 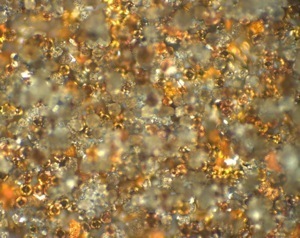 One consequence of corrosion is that any coating will be pushed off the surface. The chemical reaction that results in corrosion or rust requires water, oxygen and iron. The best way to avoid the reaction is to prevent access of one of these three ingredients. Ecosea have developed Metprotect® a water and oxygen proof coating. Metprotect® offer a unique range of high performance, easy to use, single component, surface tolerant anticorrosive primers. Suitable for use above and below the waterline, the Metprotect® range is ideal for steel, iron and many other metals. The type of Metprotect® primer used is dependent upon the type of substrate to be treated. It can be applied by Ecosea Approved Installers or by surface preparation contractors. Metprotect® is available in 4 versions ensuring that it is ideal for treating a wide range of metals including cast iron. The gel coat on a boat is designed to prevent water from entering into the fibreglass (GRP) laminate. However, through age and wear, or poor attention to conditions of manufacture, water may pass the barrier initially provided by the gel coat. Osmosis in GRP is a degradation of the structure of the hull caused by ingress of water. It is noticeable by the formation of blisters on the gel coat. Eventually, it may affect the performance of the boat due to the extra weight of the water carried into the laminate, and if ignored it may cause severe damage to the structure of the laminate. Gel-Gard® provides extra waterproof protection for the gel coat, builds an effective waterproof barrier and provides high performance protection against osmosis for GRP. It is a professionally applied, high build, 100% solids, solvent free epoxy resin. Gel-Gard® is another Ecosea, environmentally friendly - but effective product. It does not contain solvents, consequently it does not release greenhouse gasses, but for a thickness of 300 microns it is quicker to apply than its solvent based competitors. Gel-Gard® complements perfectly the long term, maintenance free antifouling protection provided by Cuprotect®.